SIM U SUIT.COM: Manikin (mannequin) obesity simulation suits, bariatric simulation, edema leggings - Realism for medical, hospital, & nursing simulations! Sim U Suit: THE source for bariatric simulation. Makers of simulation manikin (mannequin) suits including: bariatric suits, obesity suits, pediatric obesity suits, edema arm sleeves, edema leggings, and other products that can be applied to simulation manikins or real people. Our patented products may be used by anyone involved in medical and bariatric simulation education and training. Caring for obese, bariatric & overweight patients requires proper training and consideration to ensure both the patient’s safety and that of the Healthcare Provider. SIM U SUIT obesity suits let you simulate true-to-life size, look, and weight of bariatric patients. Our suits can be worn by real people, or used on manikins (mannequins) and human patient simulators. Using our products, you also have the ability to add weight to your specific preference. You can make the suit as heavy or light as your scenario dictates! Our products enable you to teach safe/proper care for the growing number of overweight patients in the healthcare system today. Our products have been featured on National Television and are used all over the world by Nursing Schools, Hospitals, Medical Personnel, Military Personnel, EMS, Fire Departments, Colleges, Universities, Public Health officials, and other entities who are engaged in medical education and bariatric patient training. SIM U SUIT is the GO-TO source for bariatric/obesity simulation products used by academic and medical simulation professionals all across the USA and abroad. Click on the BLUE links at right to explore our website. Want a "slightly obese" manikin suit? and we will make one for you according to your preferences! Sim U Suit's adult obesity suit was featured on the February 19th, 2014 episode of the nationally-syndicated daytime television show "The Doctors." With obesity rates climbing in the US and the resulting health issues which arise from people being overweight, the information provided on "The Doctors" February 19, 2014 'health scare experiment' episode is very valuable. Sim U Suit was glad to assist with this TV episode and thanks the producers of "The Doctors" for addressing this important health issue and underscoring the importance of educating the public about the consequences of obesity. CLICK THE PHOTO BELOW TO SEE SIM U SUIT FEATURED ON "The Doctors"
Click Photo above to see SIM U SUIT featured on syndicated TV Show "The Doctors." SIM U SUIT IN LIVE ACTION AT INACSL MEETINGS! Sim U Suit always has a great time meeting and greeting simulation professionals at the annual INACSL and IMSH meetings. Click the VIDEO BELOW to see our suits in action at INACSL and be sure to visit us at future meetings too! SUCCESS STORY - HIGHER EDUCATION! CLICK THE BUTTON BELOW to contact us! 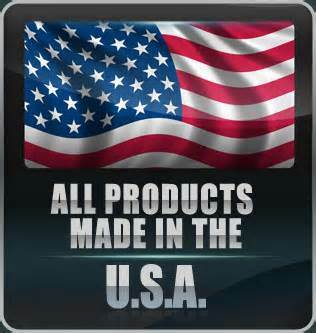 All Products Proudly MADE IN U.S.A!!! "Sim U Suit" and its logo are registered trademarks of SIM U SUIT, Inc. - All Rights Reserved.